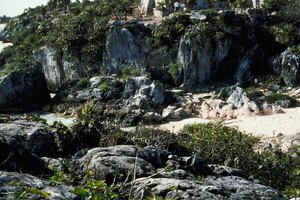 When Was the Mayan Temple of Tulum Discovered? Montezuma meets the man he may have thought was a god. 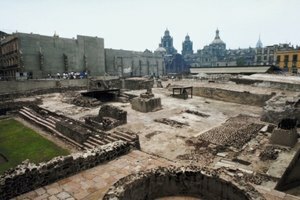 The Aztecs -- or the Mexica as they are more properly known -- ruled an area that stretched from the Gulf of Mexico to the Pacific Ocean, populated by millions. 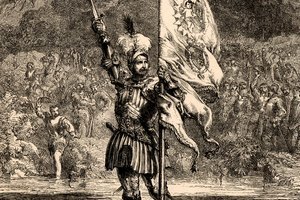 The empire the Mexica had founded had only arisen in the 14th century and was still growing when it came up against a small band of Spaniards led by a conquistador named Hernan Cortés. 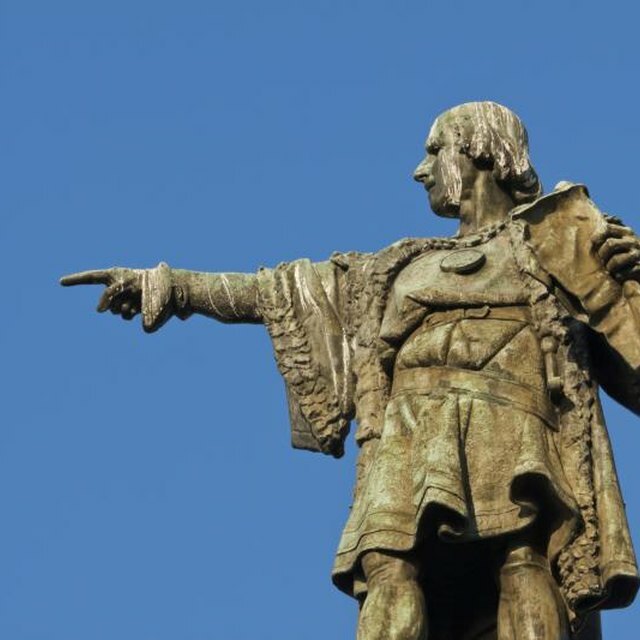 Cortés landed on the Gulf Coast of Mexico in the spring of 1519 and set off overland to find the Mexica capital city of Tenochtitlán. The Mexica had reports of previous white-skinned visitors and the Mexica leader, Montezuma, had ordered the coast watched lest these people return. Shortly after Cortés landed, an emissary from Montezuma arrived to inspect him and his conquistadors up close. The emissary greeted Cortés with elaborate fanfare and then sent a report back to Montezuma about these men who rode great deer-like creatures (horses) and had explosive weapons. Mexica sources (although as told to the Spanish after the conquest) reported that Montezuma was filled "with dread, as if swooning," upon hearing the news of the Spanish. This may possibly because he had heard that Cortés was a god. The Totanac Indians who lived along the coast and first met the Spaniards thought that they were "immortals," gods "sent from heaven." Since they wished to rebel against the Mexica, they thought that these gods could possibly help them. However, there was a specific possibility that Montezuma may have considered, which was that Cortés was the god Quetzalcoatl, returning to his kingdom. Quetzalcoatl was possibly a past ruler of the Toltecs, the civilization that had preceded the Mexica. According to Mexica legend, he was banished from his kingdom and disappeared across the Gulf of Mexico on a raft of serpents (Quetzalcoatl means feathered or plumed serpent). Many Mexica continued to worship Quetzalcoatl, particularly those of the upper class, and Montezuma would have been very familiar with his legend. It is entirely possible that he thought Cortés was Quetzalcoatl returning to reclaim his kingdom. The year 1519 was, in the Mexica calendar, the year I-Reed, which was Quetzalcoatl’s year -- he had been born in I-Reed and died in I-Reed. To make matters worse from Montezuma’s point of view, I-Reed was a year when, according to legend, kings could be deposed. There were other reasons that Montezuma might have thought Quetzalcoatl had returned. Cortés and his men dressed in black when they landed in Mexico (because it was Good Friday) and black was one of Quetzalcoatl’s traditional colors. 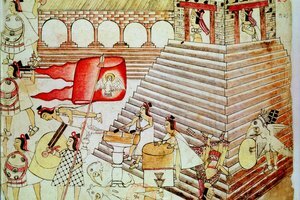 Cortés also attacked the practice of human sacrifice, of which Quetzalcoatl disapproved (one reason for his banishment). It is also possible that Montezuma thought Cortés was another Mexica god, perhaps the trickster god Texcatlipoca. 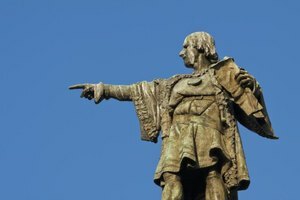 Although there is some uncertainty regarding what Montezuma and the Mexica thought of the Spanish, is entirely possible that the reason Montezuma was so indecisive when confronted by Cortés -- allowing himself to be kidnapped and his people destroyed -- is that he felt he was powerless before a god. Cummins, Joseph. "Aztec Legends on the Coming of Cortes & His Men." 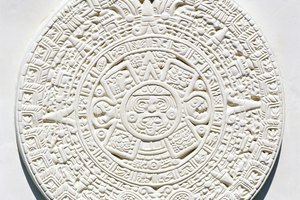 Synonym, https://classroom.synonym.com/aztec-legends-coming-cortes-his-men-13295.html. Accessed 21 April 2019.